Marvel Studios' Captain America: The Winter Soldier is out in theaters worldwide, showing audiences the epic conclusion of months and months of work, but today we're going to step into our production time travel machine and take a trip back to when when blockbuster comic book movie was in its infancy. Before cameras started rolling, the production hired artists like Tim Flattery to illustrate concept art for what the movie would eventually look like, and today, long after it played an important role in the conceptual stage of the film, a whole bunch of it has arrived online. 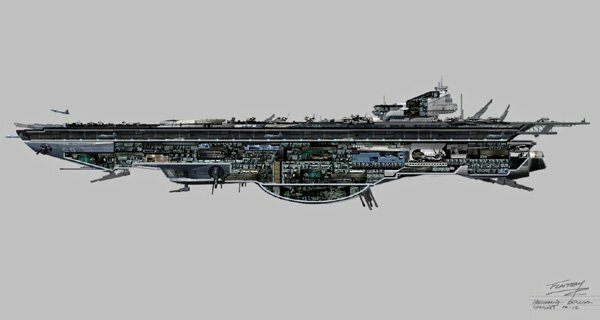 You'll notice that there is a very heavy focus on the fleet of helicarriers and the movie's big final action sequence, but this actually makes plenty of sense. As the Captain America: The Winter Soldier screenwriters told us in an interview, at the start of the film's development process Marvel Studios was very specific about wanting the blockbuster to have crashing helicarriers in the third act. The script definitely delivered on that, and as a result we have not only a really awesome movie but some pretty badass concept art. 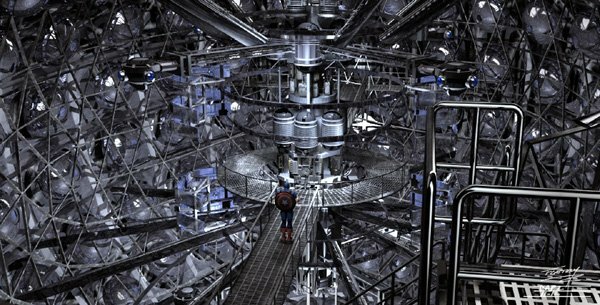 As awesome as the third act of the movie is, I actually wish that the concept art took a deeper look at some of the film's other amazing scenes as well. What about the battle against Winter Soldier on the bridge? How about Nick Fury's epic car chase? I wouldn't even mind an "early" look at the raid on the hijacked ship from the start of the movie. But perhaps I'm just being greedy and should be satisfied with the awesome that has been provided.